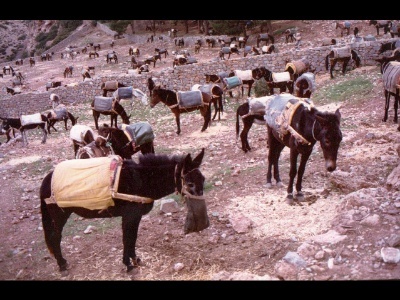 I had just gotten off a tour bus in Gouhlimine Morroco and was shocked to see so many burros in one place. I asked the bus driver why there were so many donkeys and he told me that those were the burros of all the people shopping at the nearby market. I wonder if any of the shoppers had problems remembering where they parked!